2. Take TRA from Kaohsiung Main Station to Tainan TRA Station, which usually takes about 35 minutes on express trains (Fare: NT$106). For the Route Map of MRT, please click . For the Kaohsiung International Airport, please click . Tainan is about 290 kms away from TPE. 2. Take the THSR train from Taoyuan Station to Tainan Station, which takes about 82-102 minutes (Fare: NT$1190). 3. When arrived at Tainan Station, Take TRA Train From Shalun Station to Tainan Station, which takes about 24 minutes (Fare: NT$25). 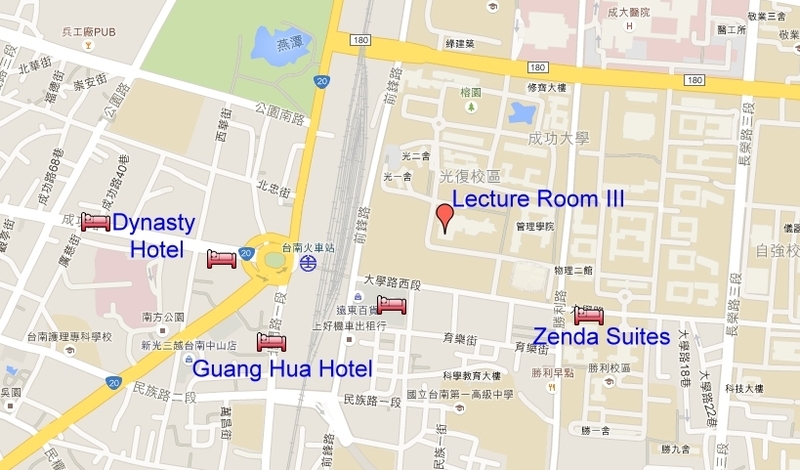 Please go to the 2 nd floor of the HSR Tainan Station for taking the train to Tainan Railway Station. For theTaiwan Taoyuan International Airport, please click . 1. Take TRA Train From Shalun Station to Tainan Station, which takes about 24 minutes (Fare: NT$25). 2. 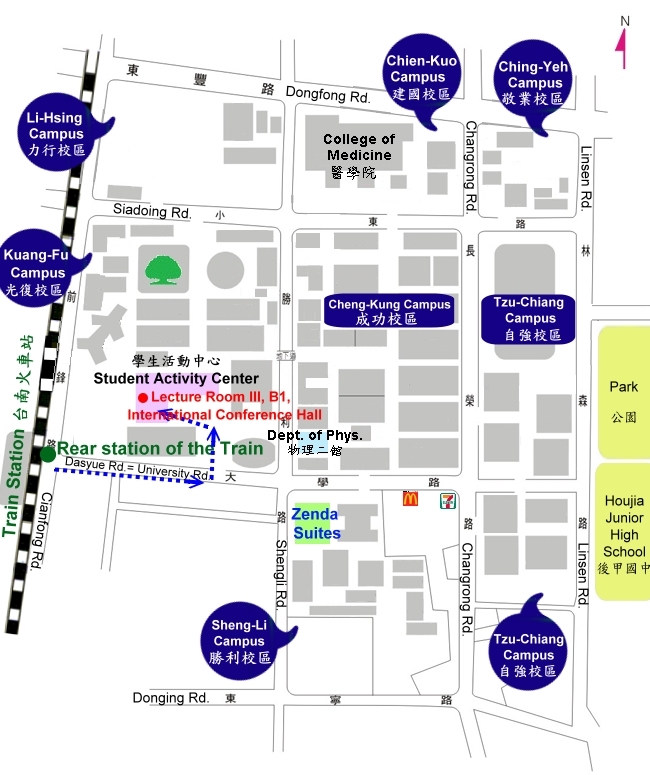 NCKU is located on Dasyue (University) Road about 100m from the rear entrance of Tainan Station.